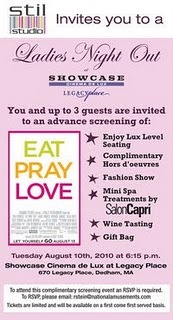 I am so excited to attend the advance screening of the movie Eat, Pray, Love this evening. The movie officially opens in Theatres on Friday August 13th. 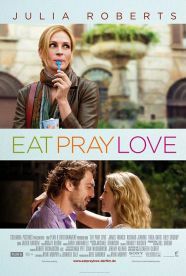 I read Eat Pray Love a few years ago WAY before it became popular and at the time I really enjoyed the book. 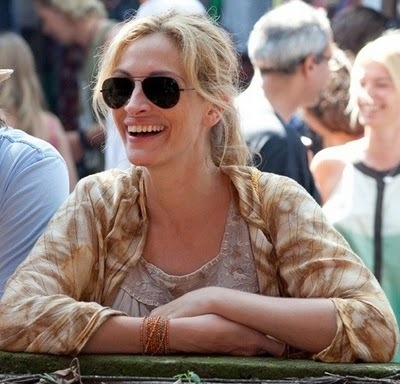 Even though I think all the hype and press about the book and Elizabeth Gilbert is a bit excessive, I am still excited to see the movie. I am a huge Julia Roberts fan and I cannot wait to see all the fun scenes in Italy, India, and Indonesia. I have traveled to Italy and India but I have not been to Indonesia so I am really interested to see beautiful scenes from there. I am also excited to see Julie's wardrobe. We can expect lots of Eastern inspired styles (which I adore) along with styles that are comfortable and actually wearable! Here are some of the trends spotted from scenes in the movie.